For annuals and vegetables, feed at planting time and every 8 weeks thereafter. For perennials, feed after first bloom and every 8 weeks throughout the growing season. For trees and non-flowering shrubs, feed in early spring as first growth appears and again in early fall. For roses and flowering shrubs, feed as new growth appears in spring and repeat every 8 weeks. For fruit trees, feed in late winter, late spring and early fall. Jobe's Fertilizer Spikes for Fruit, Nut & Citrus Trees ensure a continuous supply of nutrients below the surface, where the tree's active roots are growing. The Spikes are easy to use: just insert around the tree's drip-line and the slow-release formula lasts all season. Spikes are specially formulated for all Fruit, Nut & Citrus Trees. 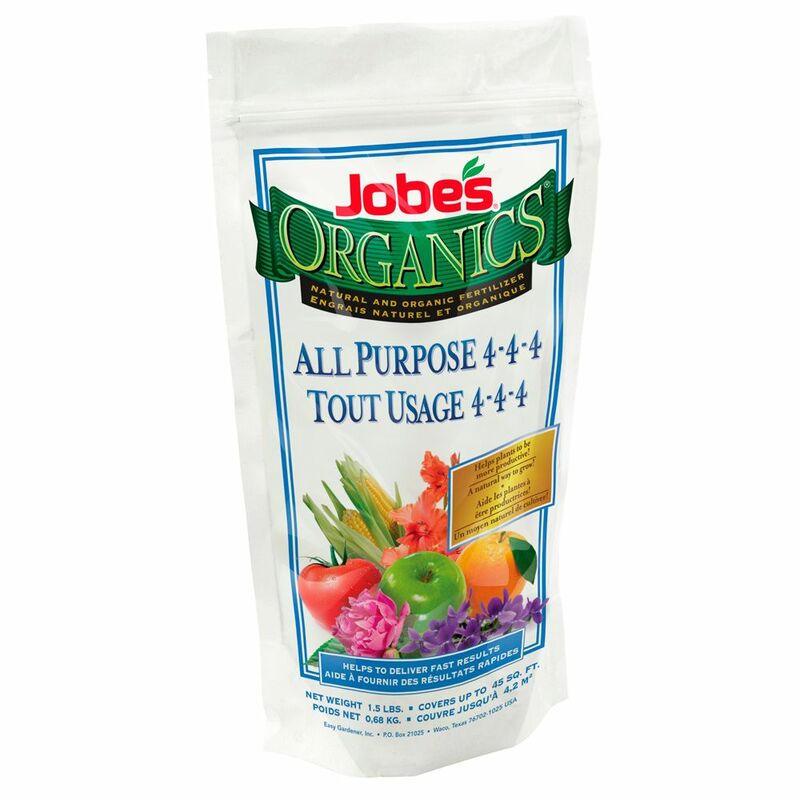 Jobe's Organics All-Purpose Fertilizer Spikes give gardeners a fuss-free, environmentally friendly option for healthy and beautiful plants. These organic fertilizer spikes, specially formulated as all-purpose, help build a nourishing environment that promotes beneficial microbial action where plants need it most - at the roots. This "in-the-ground" feeding is the most efficient delivery system for organics. The premeasured spikes make for a fast, easy and mess-free fertilizing experience. For best results, use Jobe's Organics All-Purpose spikes at time of planting or early in the season. Jobe's Fertilizer Spikes for Trees and Shrubs ensure a continuous supply of nutrients below the surface, where the tree's active roots are growing. The Spikes are easy to use: just insert around the tree's drip-line and the slow-release formula lasts all season. Spikes are specially formulated for all deciduous trees and shrubs. Boost growth and brighten up your garden with Miracle-Gro Nature's Care Organic Blood Meal. A natural source of slow-release nitrogen, this premium garden helper produces greener leaves, beautiful blooms and vibrant-coloured vegetables. 1.5 lb. Organic Granular All Purpose Plant Food Exclusive to Jobes, this formula is designed to help you improve soil fertility needed for optimum plant growth. 1.5 lb. Organic Granular All Purpose Plant Food is rated 5.0 out of 5 by 5. Im very dissapointed that you don't offer a top quality Organic fertilizers that dont contain animal by products and has only healthy ingredients. You offer a low quality one from the states. Why not sell Canadain products Welcome Harvest Farm is one.